You never know when disaster will strike and unpreparedness can be dangerous. The UltraBright 500-Lumen Tactical Military Flashlight can help you in emergencies like a broken down car in the middle of the night or getting lost while hiking. This flashlight is on sale for $14.99. The UltraBright 500-Lumen Tactical Military Flashlight allows you to see one mile ahead with an adjustable zoom. Choose from bright, lower bright, and SOS modes to fit any situation. You can also use the flashlight for outdoor activities like mountain climbing. The compact case is easy to carry on your person so you are always prepared for any possible emergency. You only need one AA battery to get started. From its original price of $100, you can save over $80 on this flashlight. 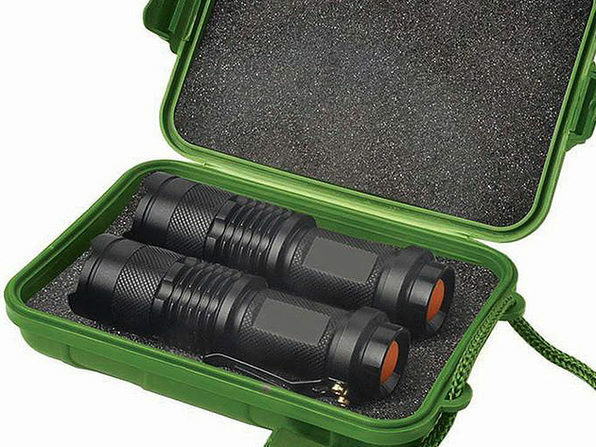 Buy the UltraBright 500-Lumen Tactical Military Flashlight for disaster preparedness or the adventurous person inside you in the Daily Caller Shop for only $14.99.